This is a two-for-one post: 1) I saw a great article in the American Journal of Physics that relates to a 2) musical instrument building project I do with students. Check out this interesting-for-the-classroom article in the October issue of American Journal of Physics called The physics of musical scales: Theory and experiment. 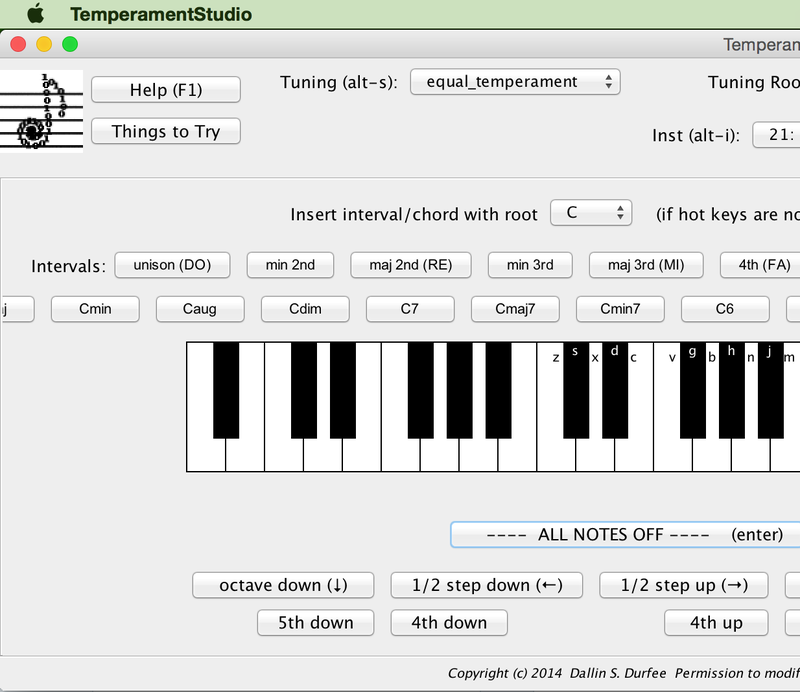 The authors not only teach the reader all about different musical scales but they also have written a free, open source MIDI tool to explore these scales. I’ve just started playing with Temperament Studio. Thankfully, the authors have helpfully included a button in the software labeled “Things to Try” as I’m pretty much non-musical. We’ve built musical instruments the past few years in my classes. And because it’s often the first big building project many of my students have undertaken, there are always snags with some kids. Most notably are two: lack of any prior experience with hand tools and no tools at home. What if I invite one group per class to do something with this paper? The pair could study the paper and teach everyone else about scales, demonstrating using the software described in the paper — instead of building an instrument. I think we’d all come out of it knowing more about music. Yesterday, my classes all presented their musical instruments. These kids have built everything from pan pipes to thumb pianos to guitars. 4th period with their instruments. 5th period and all their instruments. 6th period brought it at the end of the day with some great instruments. And that’s another year on the books with the musical instrument project!